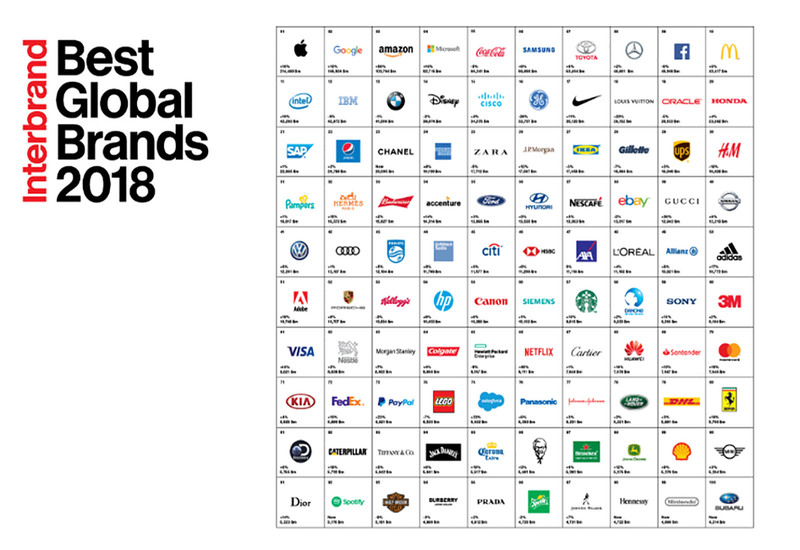 At the beginning of the month a traditional report was published from the brand consultant Interbrand “Best Global Brands 2018”, in which Apple, Google and Amazon were recognized as the most valuable brands in the world. Under the name Activating Brave, this nineteenth edition of the report takes into account factors like the brand being clear about its values, proposals and its standing, governance, commitment, how it responds to its market and surrounding changes; consistency, authenticity, relevance, differentiation, presence and of course, the emotional involvement of its audience. Among this list, Spotify (#92) and Subaru (#100) made their debut with a value of 5.176 and 4.214 millions of dollars respectively. Meanwhile, there were three comebacks: the iconic Chanel came back with the ranking 23 after being absent for 8 editions. Also with an absence of 8 editions, Hennessey made a comeback at #98, and after a 3 year period, Nintendo barely made #99, thanks to the overwhelming success of its Nintendo Switch console that was launched during the second trimester of 2017. The current global economic uncertainty is driving many brands to try to better understand and respond to its target audience, to implement innovative and courageous measures that allow them to survive these turbulent times. Risk taking brands are rewarded by capturing consumers’ attention prior to conquering their hearts, detaching themselves from old and boring and in a way, safe methods can be as beneficial as it is risky. The rewards of rapid growth and a lasting impression make it all worth it. As of now, it is not surprising that the marketing (and business) monsters, such as Apple and Google, are at the top of the heap in 2018. The company with its headquarters in Cupertino grew 16% and reached a brand value of 214,480 million dollars followed by Mountain View at 155,506 million with a growth of 10% in the last year. On the other hand, Amazon the company beloved by consumers and nerds alike, takes the third spot, with an amazing growth of 56%, breaking 100-million-dollar threshold. And those behind Amazon, also with a significant growth we can find, Netflix (45%) Gucci (30%), salesforce.com (23%), and Louis Vuitton (23%). On the opposite end, on its fifth year on the list, Facebook decreased 6% in value. Luxury took over retail in the category of growth at the top of the list. The sector’s 42% growth growth shows that product, service, and experience are fundamental to stand out as a valuable brand. Other areas with important growth were Retail (36%), Electronics (20%), Sporting goods (13%), and Financial Services (10%). On the other hand, the total value of the 100 listed brands reached 2.015-billion dollars, which accounts for a total growth of 7.7% compared to the total value in 2017, reaching a milestone in the history of Best Global Brands surpassing the 2-billion-dollar mark for the first time. Valeria Ruelas is the Community Manager at Mijo! Brands, a creative agency and a leader in digital marketing situated in Mexico City, Guadalajara and Puerto Vallarta and with clients at an international scale. Valeria studied at the Centro Universitario from the Costa de Universidad in Guadalajara. 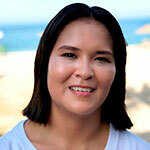 She thinks that the organization and creativity to generate content are her main strengths in the professional level. If she goes through a moment of actual realization, it happens after watching a good movie (and she also studied film), but she doesn’t pass on a session of vintage video games or trying to align her chakras with the practice of yoga. 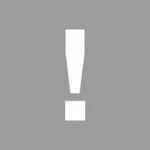 Subscribe to our newsletter and stay up date with what Valeria and us other Mijos! have to say.